Do you prefer using a BB cream over foundation for oily skin? A BB cream is a very multipurpose product and offers the benefits of makeup and skincare in one formula. These creams not only even out the skin tone but also nourish and repair the skin. Finding good BB creams for oily skin can be a tough task as most BB creams have a hydrating texture that can make the skin look greasy. A BB cream for oily skin should have a matte texture and needs to absorb oil to make the skin look radiant and fresh. With five shades to choose from, this BB cream from Maybelline New York has a gel formula that feels lightweight on the skin and does not make it look greasy. It gives a dewy finish to the skin and is suitable for oily skin also. The oil-free formula contains pomegranate extracts that enhance the radiance of the skin and promote cell renewal. The cream offers a sheer coverage with SPF protection and has a staying power of 4-5 hours. The price is quite affordable. The cream has an oil-free formula and comes with SPF 30 for sun protection. It offers 8 benefits and makes the skin look even and bright instantly. The price of the BB cream is very affordable as compared to the quantity. It does not give a matte finish to oily skin and gives it a dewy look. The cream contains silicones that block the pores if used frequently. This sheer coverage BB cream works well for all skin types including oily skin as it has an oil-free formula that keeps the skin looking fresh all day long. The SPF30 sun protection offers added benefits. A BB cream from the house of Bobbi Brown, this broad-spectrum formula evens out the skin and offers anti-aging benefits as well. The cream comes in a tube packaging and is travel-friendly. 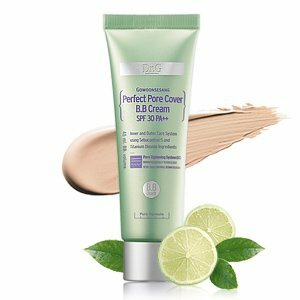 It offers medium coverage and contains SPF 35 for sun protection. It is suitable for oily to normal skin tones and has a lightweight texture that absorbs easily into the skin. The price of the cream is very high as compared to other BB creams. The cream has a very smooth formula with emollients and SPF 35 for sun protection. It provides medium coverage and reduces fine lines and wrinkles. The convenient tube packaging is lightweight and travel-friendly. The price of this cream is very high as compared to other BB creams. It does not offer many shades to choose from for different skin tones. This cream might seem expensive but it offers a great coverage while reducing signs of aging and is a good option for mature skin. The lightweight texture with a skin-friendly formula makes this BB cream good for oily skin. Formulated for oily to combination skin, the Dr. Jart BB cream works on shrinking the pores and making the skin look even and refined. The formula is free of parabens and sulphates and is designed to conceal pores and fine lines. It gives an even finish to the skin and comes with broad UVA and UVB protection and SPF 30. The cream offers a light coverage and does not make the skin look greasy. The staying power is good and the price is a bit higher than other BB creams. The cream makes the skin look smooth by shrinking and concealing the pores. It offers a broad-spectrum sun protection and offers light to medium coverage. The BB cream has a good staying power with 7-8 hours of wear. The price of this cream is a bit higher than other variants available in the market. The formula can clog pores if the cream is not removed properly. This BB cream is great for people who struggle with large pores and need something that can make their skin look smooth. It has a very lightweight formula and comes with a soothing fragrance. Especially designed for oily skin, the La Roche-Posay BB cream absorbs excess oil instantly and gives a smooth finish to the skin. It is designed to cover blemishes and pores and comes with SPF 20 sun protection as well. The BB cream has a mousse-like consistency and is formulated without oil, parabens, and artificial fragrances. It is available in two shades and has a staying power of 7-8 hours with light to medium coverage. The price of the cream is moderate. The formula absorbs oil effectively and gives a natural and even look to the skin. The cream comes with broad-spectrum sun protection and is formulated without parabens. The mousse consistency glides well on the skin and feels lightweight. The cream comes at a higher price than other BB creams. The shade range is a bit limited for darker skin tones. La Roche-Posay is a very well-known brand for skincare and this BB cream combines the benefits of makeup and skincare by giving an even and natural finish to the skin while working on fine lines and wrinkles. One of the most popular matte BB creams available in the market, the CoverGirl BB cream is not only affordable but also works well in keeping the skin looking fresh and radiant. It is available in five shade options and is suitable for oily and sensitive skin. The packaging is quite convenient and the cream has a non-comedogenic formula. It lasts for the whole day if worn with a setting powder and does not feel heavy on the skin. The price of the cream is very affordable. The price of this cream is very affordable and it is specially designed for oily skin. It gives a natural and matte finish to the skin and absorbs all the excess oil easily. The shade range of the BB cream is good and offers something for every skin tone. The BB cream does not come with sun protection so you have to apply a sunscreen separately. The formula contains silicones that can clog the pores. This matte BB cream will give you an even skin all day long and will give your makeup from fading by absorbing the excess oil. It has a good staying power and does not make the skin breakout. Suitable for combination to oily skin, the Skin Perfector BB cream from Garnier has an oil-free formula and comes in two shades. It evens out the skin tone and conceals imperfections while absorbing excess oil from the skin. The cream gives a matte finish to the skin and comes with SPF 20 for additional sun protection. It has a very lightweight texture and blends well into the skin. The staying power of the cream is ok with 5-6 hours of wear. The price is high as compared to the quality. It keeps the skin oil-free for the whole day and does not feel heavy on the skin. The formula comes with SPF 20 and evens out imperfections to make the skin look hydrated and healthy. The packaging of the BB cream is very convenient and travel-friendly. The price of the cream is high considering the brand and quality. It offers only two shades to choose from which can be limiting for some skin tones. The Garnier BB cream is good for people who want a lightweight skin-friendly BB cream that suits their skin tone. It looks natural on the skin and comes with sun protection also. Korean BB creams are well-known for their silky texture and flawless finish and this BB cream from It’s Skin is very popular. It comes in a cute packaging and is designed for oily skin. It comes in only one universal shade and will seem a bit light on medium to dark skin tones. The formula comes with SPF 30 and feels light on the skin. It does not make the skin look greasy and has a soothing fragrance. The price of the cream is affordable. The packaging of the cream is very cute and comes handy while travelling. It has a silky texture and a light peach scent that feels soothing on the skin. The cream has a good staying power and does not make the skin feel greasy. It is available in only one shade which does not suit all skin tones. The cream provides sheer coverage and does not cover stubborn dark spots. It is a very lightweight BB cream and is great for very fair to neutral skin tones. The formula feels silky and the staying power of the cream is also good as compared to other BB creams. 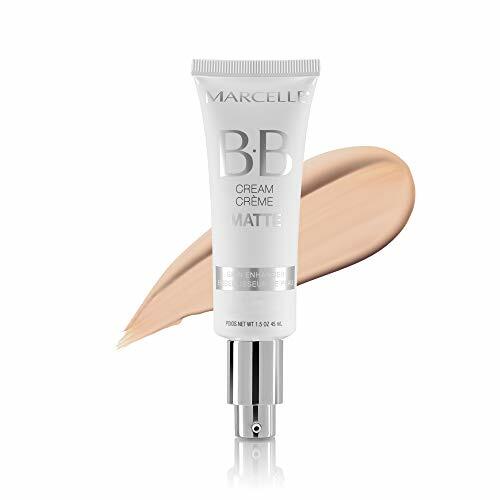 If you are looking for a BB cream that adjusts to your particular skin tone, this matte BB cream from Marcelle is a good option to consider. It comes in a fancy pump tube and offers two shade options to select from. The formula contains self-adjusting pigments that adjust to the natural skin tone and make it appear even and radiant. The oil-free and non-comedogenic formula works well for oily skin. The price of the cream is moderate as compared to the quantity. The formula adjusts to the natural skin tone with the help of pigments. The cream comes in a very convenient packaging with a pump dispenser. It has an oil-free texture that helps the cream stay on the skin for the whole day. The price of this BB cream is higher than some other creams. It does not offer sun protection so you need to wear a sunscreen with the BB cream. It is a great BB cream if you struggle with finding the right shade in other BB creams as it adjusts to your skin tone and gives a very natural look to the skin. The soothing fragrance and convenient packaging are some added advantages. Another Korean BB cream, this product is known for its high sun protection factor and excellent sebum controlling properties. It offers a matte finish and is quite lightweight in terms of texture. The cream is formulated using lime tree water, rosehip oil, lemon balm extracts, and cabbage extracts that absorb excess oil and reduce greasiness from the skin. The cream does not irritate the skin at all and covers pores efficiently. The price of the cream is reasonable as the quantity is good. The cream comes with SPF30++ and controls excess sebum effectively. The quantity is good for the price and the formula suits oily skin. The cream feels very light and airy on the skin and has a good staying power. The cream has a strong fragrance that might irritate sensitive skin. It offers only one shade option that will not suit all skin tones. It is a great BB cream that works on all its claims and feels soothing on the skin. The formula is lightweight and is made up of natural extracts that control sebum and give a matte finish to the skin. With four variants to choose from, the Holika Holika BB cream comes with SPF 30++ and is designed to clear the pores and make the skin look smoother. It is a multifunctional cream and provides medium coverage that can be built up depending on your skin concerns. The cream contains tea tree oil that absorbs excess oil and prevents acne breakouts. It comes at an affordable price and the quantity is good as compared to other BB creams. It offers four variants that are designed to suit different skin concerns. Tea tree oil cleans the pores effectively and prevents skin irritation. The cream offers a high sun protection and medium coverage at an affordable price. The cream does not offer many shades to choose from. It can cause a bit of stinging on the skin if used on sensitive skin. The Holika Holika BB cream works very well for pore concerns and enhances the smoothness of the skin. It has a good staying power and prevents further breakouts also using tea tree oil. Cleanse your face well before applying a BB cream to help it glide well on the skin and cove imperfections. Use a little more quantity of BB cream than foundations as BB creams have a lighter texture and lesser coverage as compared to foundations. Avoid creams that are filled with a lot of silicones as they can clog the pores in the long run and damage the skin. Do not blend the BB creams too much into the skin as they are supposed to just cover the skin evenly and provide a smooth finish. Apply BB cream after applying a moisturizer and add a sunscreen if the formula does not offer sun protection. Do not use a BB cream if it breaks you out or causes skin irritation as some ingredients might not work for your skin type. Choose a shade that is a bit lighter than your actual skin tone to get a flawless finish. Use your fingers to blend the cream into the skin and avoid using brushes that will absorb most of the product. So these are the top ten BB creams for oily skin which work well in controlling excess oil and sebum from the skin and keep the skin looking matte and radiant all day long. These creams offer multiple benefits and are very good for everyday use. These tips will help you use the BB creams much more easily and you will begin loving these creams for their lightweight texture and sheer coverage. Do you have oily skin? Which is your favourite BB cream? I wonder if BB cream cause pimples? It depends on ingredients in your cream. Some bb cream contain a lot of moisturizers, color, and sun protection which are thick texture. If bb cream irritates your skin it may occur such pimples. I suggest you to choose bb cream that matched to your skin type. 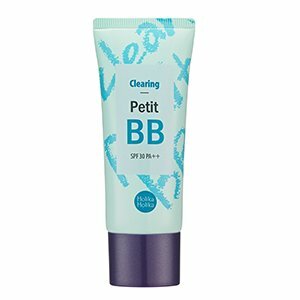 Is it possibled to use BB cream in routine? Yes, BB cream is not the same as foundation. BB cream doesn’t clog pores but hydrates your skin. You can use bb cream in daily as a routine but don’t forget to have your skin deep clean and clear before going to bed. It must be great to your skin. I’m passionate about Bobbi Brown Broad Spectrum SPF 35 BB Cream.